Well, uh... wow. This is a race that will be remembered for a long time. Of course the highlight is Camille Herron's 24-hour World Record. But beyond that, the deepest field ever yielded the biggest 24-hour results ever on American soil. For me personally, the day went close to perfectly, and represents the culmination of years of effort to run a good 24-hour. But others also had incredible days, and it's a little surreal to have run 154 and finished off the podium! A very disorienting mix of success and failure. This report will be heavy on analysis, in addition to the story of my own race. There is a lot to take in and learn from. If you don't know, Desert Solstice is an invitational 24-hour track race, put on by Aravaipa Running. You run as many laps as you can on a 400m track in 24 hours. 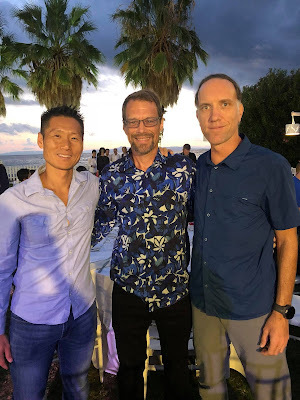 It's limited to 30 runners (this year stretched to 33) who have put up big numbers at 24-hour or 100-mile races, and it was a big honor for me to be invited once again. My Background My primary running goal for the past four years has been to make the US national 24-hour team and represent the US at the World Championships. In 2017 I ran 152.155 miles, becoming the first American over 50 to break 150 miles, but came up just barely short of making the team. The next chance would be for the 2019 team. 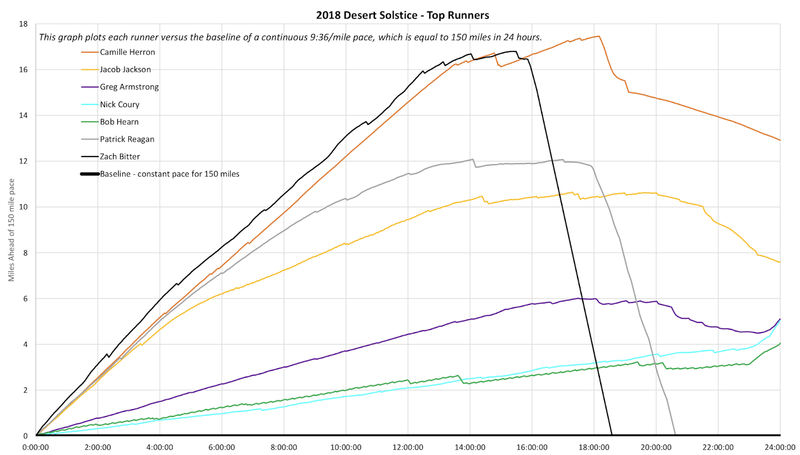 I had a disastrous Desert Solstice 2017, stopping early at 93 miles with a backwards lean I could not shake. For 2018 I decided I had to branch out and try different things; it was too unsatisfying perpetually banging my head against 24 hours. I had very successful runs at Snowdrop 55-hour and Spartathlon, with EMU 6-day and Badwater 135 going less well and representing learning experiences for next time. But all year long I had my eye on Desert Solstice as my one chance for the 2019 team. 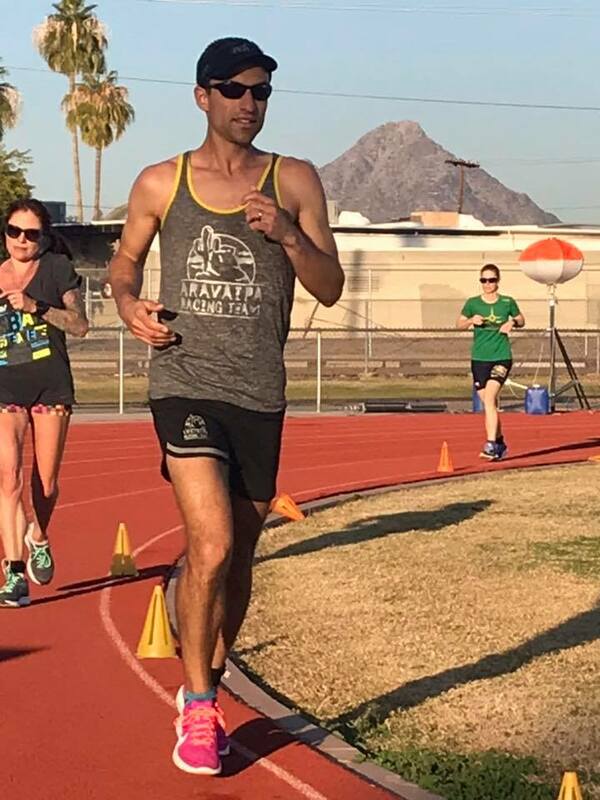 Especially, my PR at Spartathlon boded well and left me optimistic as I began my Desert Solstice-specific training. With only 10 weeks between the two races I didn't have a lot of high-mileage weeks, but what I had was solid, and Spartathlon itself represented excellent training. As well, I had focused all year on increased core work and form drills to combat the lean. 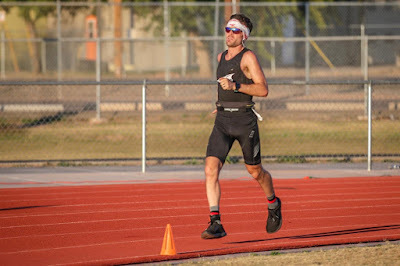 A few days before Desert Solstice I had a DXA body scan. Compared to just before my PR race at Run4Water, I was down two-plus pounds of fat and up one-plus pound of muscle. Again, very encouraging! 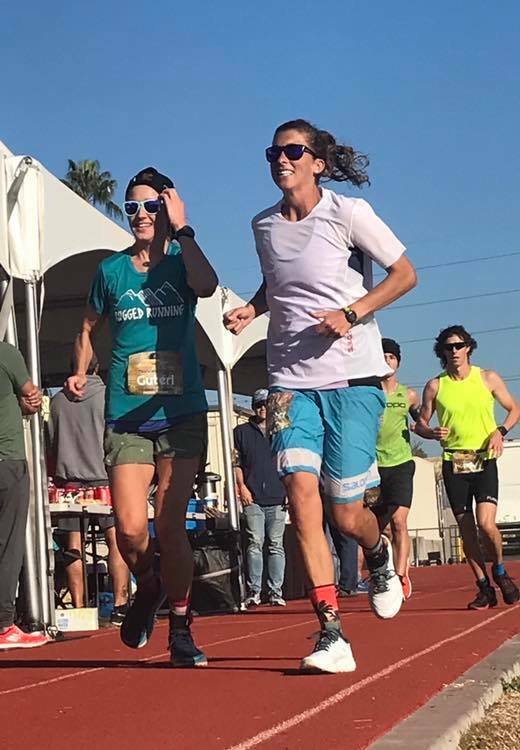 Heading into my 9th 24-hour race, I felt I had a solid handle on how the race should go, and how to deal with any issues that could arise – except for the lean. There I had to cross my fingers and hope that I'd done enough work to prevent it. My pace plan had me at 154.5 miles if I could hold even pacing throughout, something I had never before quite achieved. Nonetheless I came into the race as confident as I've ever been of a good result, feeling like I was in the best shape of my life. As in past years, I would be joined by my wife Liz and my good friend Scott Holdaway as crew, and this time Pam Smith would be filling in as well while also crewing Maggie Guterl. What luxury! 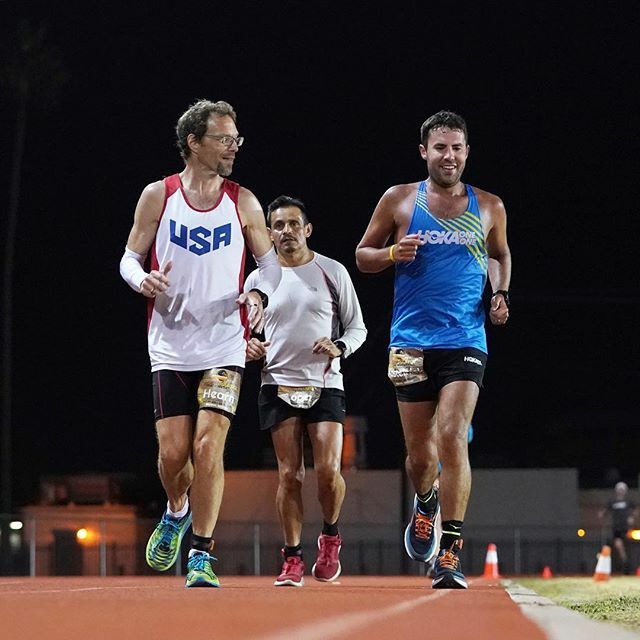 The Lineup At Desert Solstice 2015, I finished second to Pete Kostelnick. In 2016 I won the men's race and finished second overall to Courtney Dauwalter. For 2018... I was ranked at the very bottom of the entrant list on Ultrasignup! This was the deepest field ever at an American 24-hour. 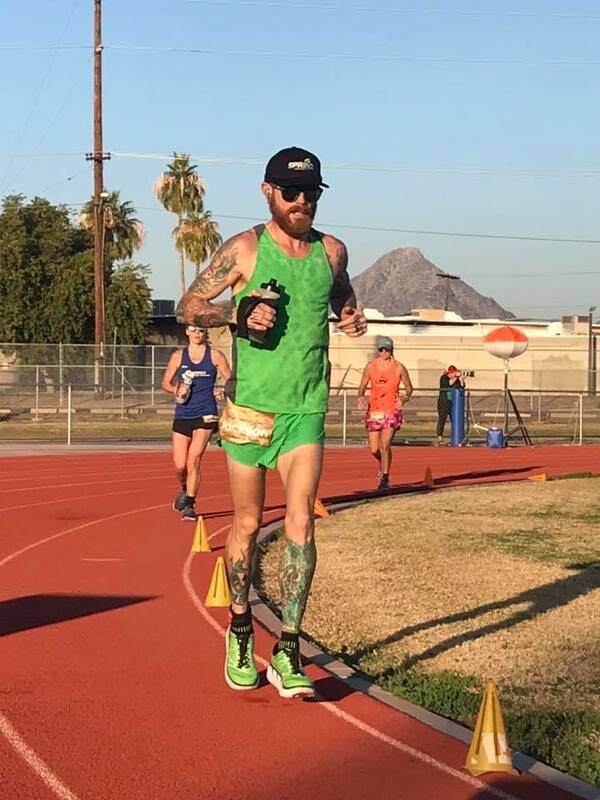 The men's field was headlined by Zach Bitter, 100-mile American Record holder, going for his first full 24 since 2014; and Pat Reagan, who had taken Zach's course record at Javelina Jundred, stepping up to 24 for the first time. 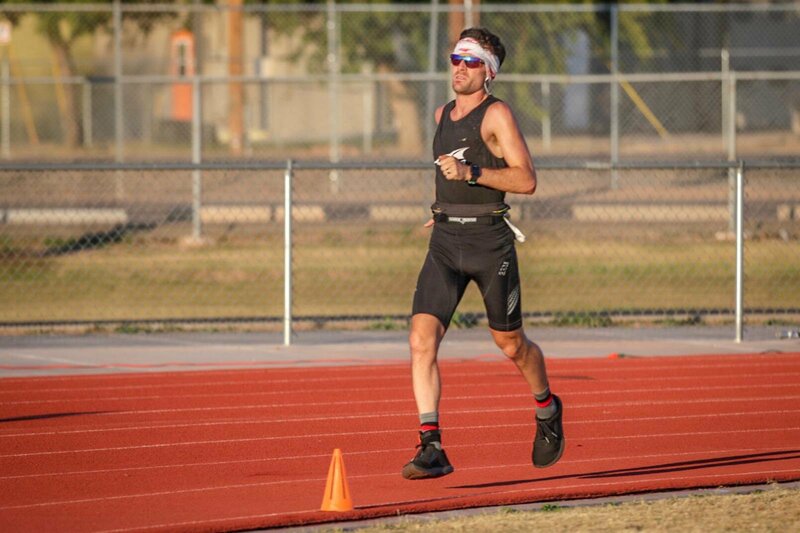 Pete Kostelnick, who has the course record with 163+, was returning – but likely not at 100% after a 5,000-mile self-supported run from Alaska to Florida. (Originally Jon Olsen, 2013 24-hour World Champion, was also entered, but he withdrew late, insufficiently recovered from Spartathlon.) One step down from these true elites was a plethora of runners any of whom could have a breakout race over 150. The usual suspects at 24-hour were Olaf Wasternack, Greg Soutiea, 2015 US team member Greg Armstrong, Andrew Snope, Desert Solstice 2017 winner Adrian Stanciu, James Elson (competing for a UK team spot), and myself. All of us had put up solid 24s in the past couple of years. In addition we had Badwater winners Zach Gingerich and Oswaldo Lopez, 2013 24-hour team member Nick Coury, and relative unknown Jake Jackson, who had won several races this year, with a 134-mile 24-hour. And then there were several more runners who were talented and could put up a surprise big number. Basically everyone here was a star, otherwise they would not have been invited. The women's side, at the very top, was even more exciting and competitive. 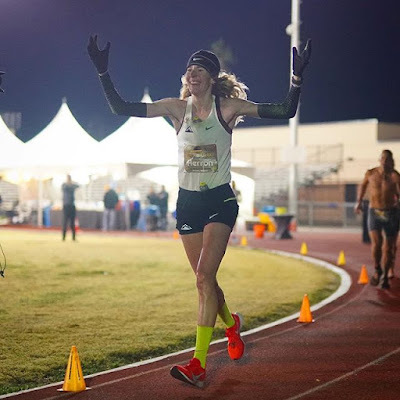 The matchup between 24-hour American Record holder Courtney Dauwalter and 100-mile World Record holder Camille Herron had long been anticipated, and looked to provide the real drama of the race. Both would be going for Patrycja Bereznowska's 24-hour World Record of 161.55 miles. My money was that one or maybe both would beat all the men. For all the preparation I'd put into this race, my day started frantically, as I made a last-minute decision to run in tried-and-true Clayton 2s instead of the lighter NB Beacons. It was only while I was changing shoes at the track that I realized I'd left my ankle timing band in my hotel room! Scott had just enough time to run back and get it, crisis averted. The first several hours of the race passed without incident, as I stuck to my slow-start splits, running 2:14s and walking one minute every six laps. As expected I quickly dropped to the back of the pack. As late as eight hours in I was 23rd overall (of 33), 15th male (of 20). Also as expected, Camille, Zach, and Pat went out fast, running 2ish-minute laps, Zach a bit faster. 2:00 laps is pace for 179 miles if they were to hold it! Most runners do not try to come anywhere close to even splits at 24-hour. We'll get back to this in some detail later in the analysis section. Less expected, Jake Jackson pretty much stuck with them through four hours. I wasn't paying that much attention to who was where at that point, but had I been, I'd have been pretty confident that Jake at least was going to have a short, painful day. Boy was I wrong. Courtney went out a little slower. She's very experienced at 24 and didn't feel the need to start that fast even to run a World Record. Unfortunately, she was the first of the headliners to fall. By around 100K it was clear that her legs were not going to cooperate, and I was very sad to see her step off the track. 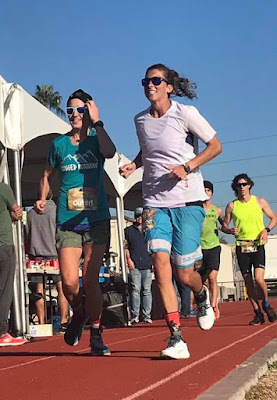 She'd had a huge year, most recently running for 67 hours at Big's Backyard Ultra just six weeks prior, and it seems this was just one race too many. Courtney being Courtney, she stuck around and cheered the rest of us on for the remainder of the race. The heat of the day arrived, but it was not too bad, high 60s, and I had done plenty of sauna training. I put on my arm sleeves to wet them, and a desert hat filled with ice. I began drinking more water. By about 10 or 11 hours in I had developed a huge grin. Though I have had races go perfectly through as long as 22 hours, somehow at Desert Solstice something has always gone wrong by 9 hours or so and I've had to regroup and lower my goal. So this was a breakthrough of sorts. However, things would shortly start to turn south. 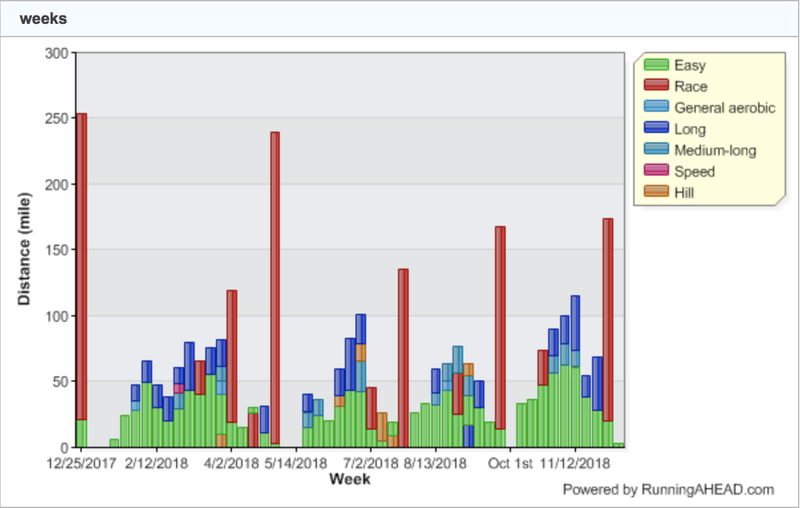 I began to get a little intestinal discomfort – I wasn't really sure whether it was GI stress or tired core stabilizers from the effort to lean a little more forward. Just something in the abdominal region that wasn't quite happy. I asked my crew to switch from my custom-engineered drink mix (similar to Maurten) to 50/50 Coke and water, just for a change. Also my right hip abductors began to get a little sore; I've had problems here before and had added more glute exercises this time around. The net consequence was that my attitude suddenly took a nose dive. It was late enough into the race that I should have pulled ahead of most of my competition; I hadn't. It was early enough that there was a huge amount of time left to endure. It was dark; I always have a rough day/night transition. Some part of my brain was beginning to say "This is going to hurt a hell of a lot and a lot of guys will beat you anyway. It's night; you really just want to go to bed". Now, intellectually I knew that my body still felt pretty good overall, better than it had here before, and almost certainly most of the guys ahead of me would not hold steady. That's just how 24-hour works. But try telling that to your emotions. They can be immune to logic. I held on and came through 12 hours at 77.3 miles, right on target. After an extended potty stop I hoped the abdominal comfort at least would be relieved. But by 13 hours my attitude was still in the dumps. I really, really wanted to walk, nap, or even quit, quit running for good. Because of course if I gave in and quit when nothing was really wrong I'd never be able to respect myself as a runner again. I asked Pam for advice but I think just alarmed her – "My body is good but I just want to quit. What do I do?" Still, communicating my emotional state helped me feel less alone in my suffering. By 13 hours, though, it was not going away and I decided to pull out the big guns: I took a caffeine pill. I had thought to save that until at least 16 hours. Half an hour later, out of the blue, I puked. And puked. And puked. For an entire lap. I walked two more laps to settle down and regroup. (Maybe my emotions had known best after all?) Well, here it was. At least it was a new phase of the race and I could move on; my brain was engaged in a different way. So much for Coke; back to my drink mix. I'd just drink a little less. But what was my plan now? I was "justified" in slowing down, but could I afford to? Scott was on crewing duty; I'd left him with my pacing spreadsheet that he could plug numbers into. Given where I am now, suppose I start running 6 laps in 14:00 instead of 13:50; where does that put me at the finish? Answer: 153.45. Ugh. Not good enough. But it would have to do for now. Maybe I could claw my way back over the all-important 153.5 later. Now I was truly running on a knife edge, with no margin for further error. However, it felt sustainable. The night cooled and I got into the mental groove of night-time running, which is actually a strength of mine once I survive the transition. Rather than try to nail average 14:00 sets of six laps, I contented myself with anything between 13:50 and 14:00, eating away slightly at that deficit on 153.5. Zach and Camille blazed through 100 miles. Camille split in 13:25, handily surpassing Gina Slaby's then-WR of 13:45:49 from 2016, which still stood as the American track record. And now, Zach began to have issues. In fact I found myself passing both Zach and Pat. This was not wholly unexpected: I think both of them can be top 24-hour runners, but there is a learning curve, and they had laid a lot on the line by going out that fast. As had Camille. Suddenly my mental picture of the rest of the race updated. If Zach and Pat faded, that would leave just Jake and Greg Armstrong ahead of me – so I thought. Actually I was confused about where Nick was. We were within a lap, but during my puking episode he had pulled ahead. Nick had run absolutely steady all day; I was very impressed. I hadn't seen him at all for hours after the start, then I think I must have gradually lapped him, running laps slightly faster but falling back on the walk breaks. But now I was a little behind and running at the same pace, having slowed slightly. (You can see this clearly in the colorful graph below. Apparently Nick was running 2:19 laps, which would put him at 13:54 per six laps, essentially identical to me now.) Jake and Greg were gradually slowing. Jake was so far ahead now that he would have to collapse for me to catch him. Actually I thought this not unlikely. He'd been about 7 miles ahead at 12 hours; that's huge, on pace for over 168 – with a PR coming in of 134. When I see that I think, that's a debt that has to be repaid; the second half is not going to be pretty. Meanwhile Greg was about a mile and a half ahead of me, and no longer faster than me. That could go either way. Greg was very experienced and came in with a recent PR of 151. Could he bust out mid-high 150s? Again I thought it more likely he would come tumbling back, but probably with a softer landing. Maybe I could catch him. The next milestone would be 100 miles; I looked ahead to that. And was confused when Nick split 100 miles first. I think this is a peculiarity of how the on-track display screen shows position. When we were on the same lap it showed us in the same position, even though Nick was actually ahead. As the night progressed I got more comfortable and continued to move well. Still, I didn't dare try to speed up. Logic dictated that the best policy would be to hold steady and wait for the guys ahead of me to come back. If nobody did, well, maybe I could kick closer to the end. I really, really wanted to run solidly to the end for once, which I had never done before. Speeding up now would be reckless. The next milestone to look forward to was 200K. Scott informed me that on current pacing I'd hit it at 19:22. Great, just what I wanted. I already had the age-group American Records for 200K both on road and track. The track record was soft, 19:37; I'd handily beat that. But I wanted to beat the road (and overall) mark as well; I'd just make it. When I did, that put me one minute ahead of where I'd been at 200K at Run4Water, when I had run 152 – after falling apart the last two hours. This time, things would be different. Liz was back on the track crewing from about 19 hours on; her smiling face helped pull me through. In the meantime, Camille had hit the open 200K American Record, previously Courtney's, but then suffered a bad patch after 18 hours. She sat on the sidelines for a while, then walked several laps. I think most of us thought she was done, but she gradually picked up the pace until she was running steady 2:30ish laps. I asked her whether the World Record was still possible – yes! And she would do it! Wow. I believed she would. She is amazingly talented and driven, but I had not been sure that all the new stuff 24 hours would throw at her would be survivable on her first run longer than 13 hours, especially after starting so fast. But she was enduring it. Meanwhile I had my own race to run. By now Zach was long gone, and Pat had been just walking for an hour or so; I would catch him shortly. My gut was beginning to get a little unhappy again; another long portapotty stop helped relieve the discomfort. However, shortly after 20 hours, another bout of puking ensued. In my effort to ease the abdominal pain I'd taken a HotShot, again being unsure whether maybe it was incipient cramps. I made the mistake of chasing it with my drink on the following lap, I think, and that was that. This was very demoralizing; I thought 153.5 had just gone out the window. I slowed a little further and soldiered on. Now Nick pulled to 2-3 laps ahead of me. As the final hours wound down it became clear that holding steady was not going to be good enough. Jake and Greg were still slowing, but not quickly enough, and Nick was still absolutely solid. My body still felt good. I was tempted to speed up with an hour and half or two hours to go, but I was too scared I wouldn't be able to hold a faster pace. I looked ahead, and realized that I could still salvage 153.5 if I could run 7 miles in the last hour. I thought I could probably manage that. At 23:00 on the clock I started running 2:00 laps, skipping walk breaks, skipping nutrition. Just run. 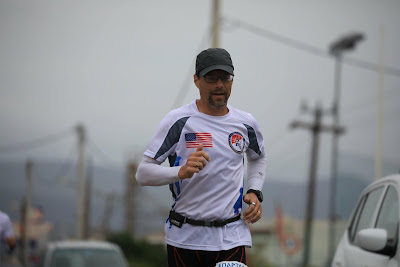 That's how I've finished Spartathlon three times, and the past two I've been the fastest guy in the race over the last 13 miles, running 6:30ish pace – though downhill. What could I lay down here? No faster than 2:00, it turned out. I made myself run a solid half hour at 2ish laps before checking the numbers again. In that time I'd gotten a couple of laps back on Greg, but I was still four behind. And I had not seen Nick at all; he must be matching me. Most people are running on fumes by the last hour, but not Greg and Nick. So much for any hope of catching either of them. The numbers showed I now had 153.5 in the bag; I eased back slightly to 2:10ish laps. Once I hit 153.5 I saw I could reach my next goal, 153.85 miles: Martin Fryer's age-group 24-hour track World Record that's on the books. It would be of academic interest only, as new World Records are not surface-specific; Martin's record is grandfathered in. (In any case Stephane Ruel of France is my age and has run 161 on the track; he would have the record if it still existed.) Still, it was something. After that I had about a minute and a half left and saw that if I kicked in the last partial lap maybe I could break 154, so I did. Final distance: 154.051 miles. 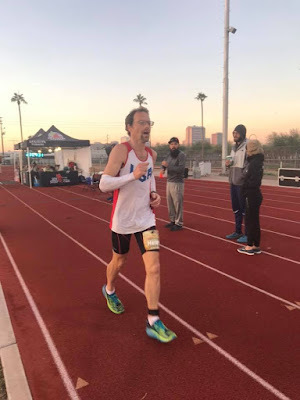 Fourth male, fifth overall, new 24-hour American Record for over 50. Nick had actually started running 1:45s towards the end, pushing as hard as he could to catch Greg. But Greg matched him and finished a scant 100m ahead. The crowd was following our three-way battle with excitement, yelling out my splits and distance to me every lap, but the real excitement towards the end was that Camille did manage to hang on and set a new 24-hour World Record, with 162.9 miles. Incredible! I'm honored to have been a part of the same race. Okie power for the win! Analysis There's a lot to learn from this race, or maybe to un-learn. Let's start with the overall picture of how the top runners paced, in this graph courtesy of Mike Dobies. You can see what tends to happen when you fly too close to the sun – you crash back down to Earth. Except when you don't. Click to enlarge and read the details, but basically this tracks how far ahead of even pace for 150 miles each runner is. Even pacing would be a straight line (i.e. Nick). This looks a little smoother on the whole, though rougher during the final hour. Her splits were 86.3 / 75.3, or 53.4% / 46.6%. Closer to even, with more absolute miles in the second half than Herron. Moving on to Jake Jackson, we can see that he hit 12 hours on pace for 169. As I said above, that should not end well, unless he is an undiscovered new star. Which it appears he may be. He faded, but in a more controlled manner than Camille, running 157.6 miles, with an 84.5 / 73.1 split, or 53.6% / 46.4% – similar to Bereznowska, actually, though the first four hours were faster. I would say that with more even pacing he could be well over 160, which our team at Worlds could certainly use... but again I may be projecting my bias here. Not only is it not 100% clear what the physiologically optimal pacing strategy is, but psychology comes hugely into play. Camille broke the 100-mile track record by 20 minutes on her way to 24-hour; certainly that should have provided a boost. Runners can take comfort in banked miles. Personally, banked miles ahead of goal pace terrify me – I like to bank energy – but others are different. Even if it's a physiological negative it can be a net positive when the mind comes into play, because the mind is paramount in this kind of race. Finally, it's hard to really judge what Jake was capable of here even with the pacing he had, because he didn't have much to run for towards the end. His win and team spot were virtually assured. Actually, he took over the #2 team spot by beating Steve Slaby's 157 miles, which could theoretically matter, but I gather that he was not aware of this during the race. He did pick up the pace somewhat during the last hour. Next, Greg Armstrong. I think this is maybe what a "typical" well-paced 24-hour performance looks like: a 79.5 / 75.6 split, or 51.2% / 48.8%, with a pace curve smoother than Camille's or Jake's, and a strong finish. Yes they both beat him, but Greg has run 16 24-hours, and this is his PR, so that's what one should look at. And then there's Nick. I consider myself a pretty even pacer, but my GOD, I have never seen a prettier performance than Nick's. It's just absolutely smooth from start to finish, until the last hour, when he mustered a huge kick. Should it have been sooner? I'm sure Nick is torturing himself with this very question. Here's his pace chart. Huge thanks are due to my crew Liz Hearn, Scott Holdaway, and Pam Smith. Especially, Liz and Scott have now crewed me here three times (four for Scott), and it makes all the difference in the world. It's a team effort. Thank you to Hayley Pollock, Jamil Coury, and everyone at Aravaipa running for once again putting on the US's premiere 24-hour race, this time with live, full-time commentary. That did NOT look like an easy job. But it was appreciated by all. You're raising the level of the sport here enormously. 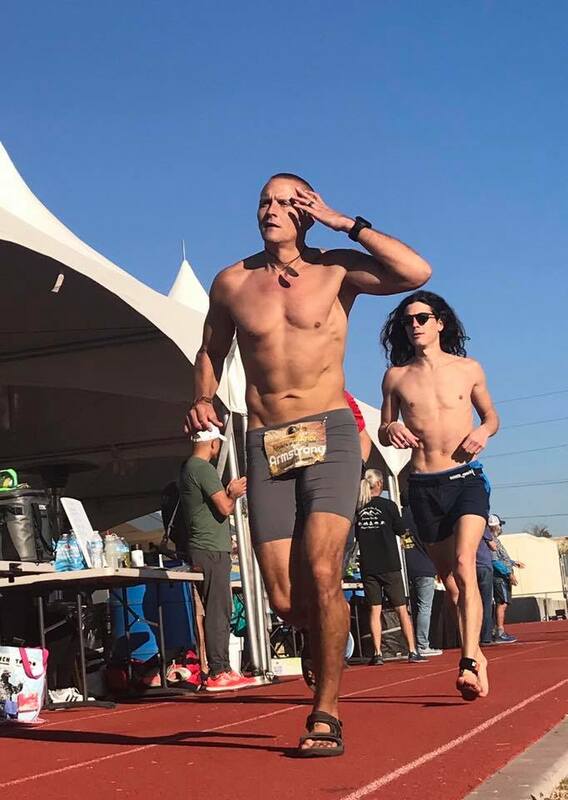 Thank you to all my competitors for making Desert Solstice 2018 a race that will go down in history. Finally, to my readers – if you made it this far, I hope you found something useful to take away! 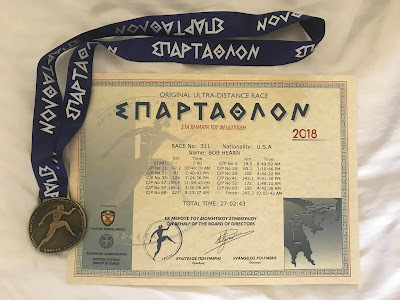 This was my third Spartathlon; I previously ran in 2015 and 2016. My 2015 race report is fully detailed, if you are looking for all the intel you can get on the race, and what it's like to experience Spartathlon for the first time. This one will focus on what was new for me, and on the freakish conditions we all found ourselves in. But, warning, it is still a very long way from Athens to Sparta, both on the road and on the page! If you want to skip ahead to the good stuff, scroll down to "Disaster". Background For a full background on Spartathlon, see my 2015 report. In a nutshell, it's a 153-mile race from Athens to Sparta, with a tight 36-hour cutoff. Most years, most runners do not make the cutoff. The purpose is to recreate the fateful run of Pheidippides, as he was sent to recruit the Spartans to help defend Greece from the Persians at the battle of Marathon in 490 BC. This was a busy year of racing for me, and after my performance at Badwater did not match my expectations, I was feeling burned out. 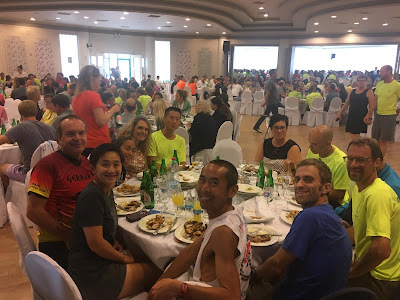 Much as I love Spartathlon, day after day I would lace up and head out only to feel that my legs were moving through molasses, and I would say screw it, turn around, and tell myself I needed a little more recovery. Whether the fundamental problems were physical or mental I'm still not sure. 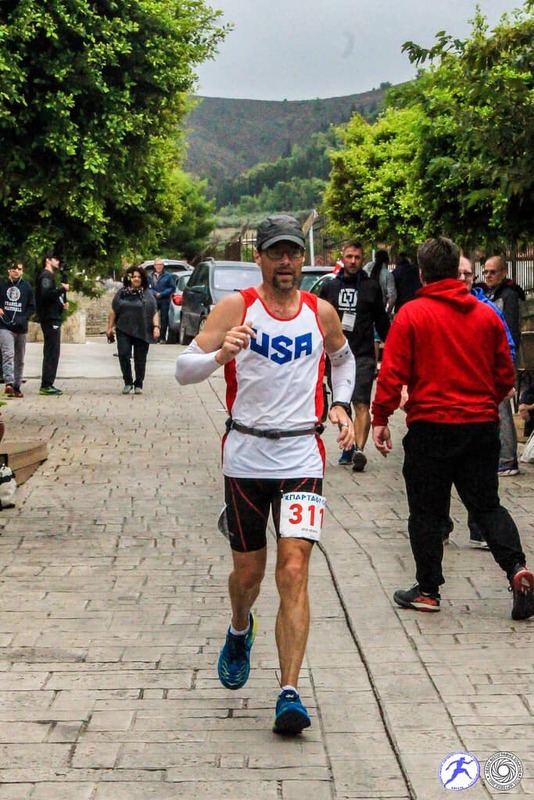 But with only nine weeks between Badwater and Spartathlon there was only so much time available for the real training to kick in – not to mention for losing those extra five pounds I'd carried through Badwater, something I couldn't do without high mileage. In the end, my training cycle was pretty unsatisfactory. 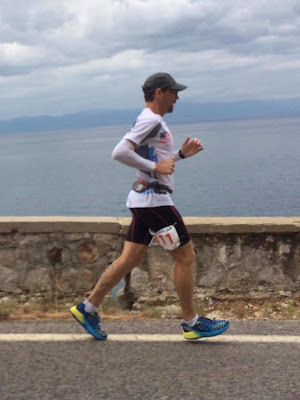 For Spartathlon 2016 I peaked at 110 miles per week. This time, somehow the most I managed after Badwater was a paltry 77. And those pounds weren't going away. 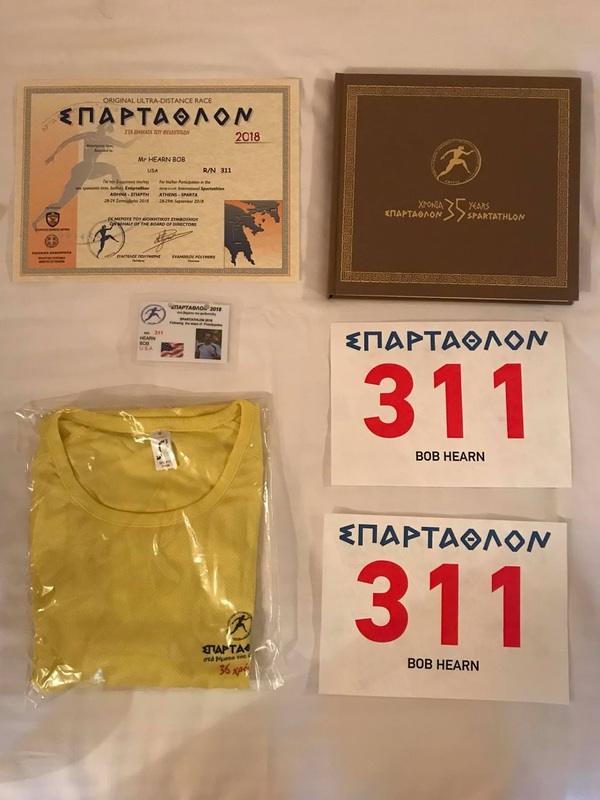 Add to this that I'm now 53 instead of 51, and logically I should temper my expectations for Spartathlon, right? But I was not willing to do that. 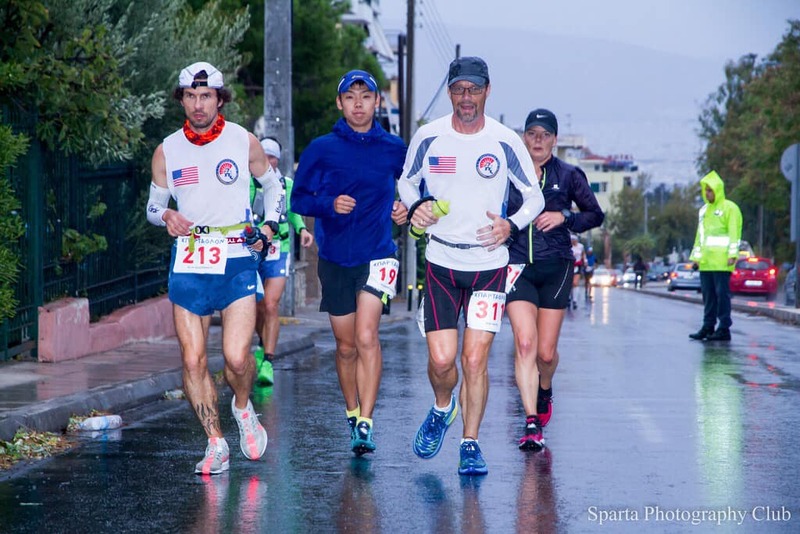 Spartathlon requires a huge effort. That effort can only be put forward if there is motivation to match. In 2016 my goals had been to run under 27 hours and/or place in the top 10. I vacillated mid-race between pacing for 27 and 28 and hit it in the middle, but in 16th place. 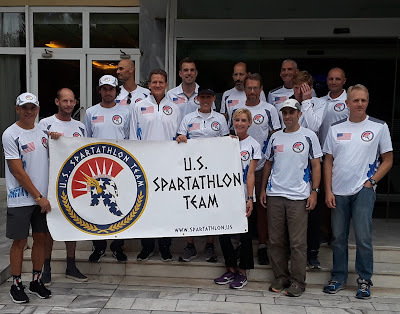 In some past years 27:33 would have been a podium spot, but with more interest and tougher qualifying criteria, the times at Spartathlon have gotten faster. It would take more than that. I was going to have to go back with a more solid focus on sub-27 and hopefully top-10. Never mind that my training and my weight were not as good as in 2016; somehow I had a certain positive feel about these goals. Ultras are mostly run in the head. I now had twice as much personal Spartathlon data as before to draw on for my pacing plan, and twice as much familiarity with the course, as well as a significant (pre-race) nutritional improvement that I expected to alleviate the mid-race energy lows I'd had in the past. 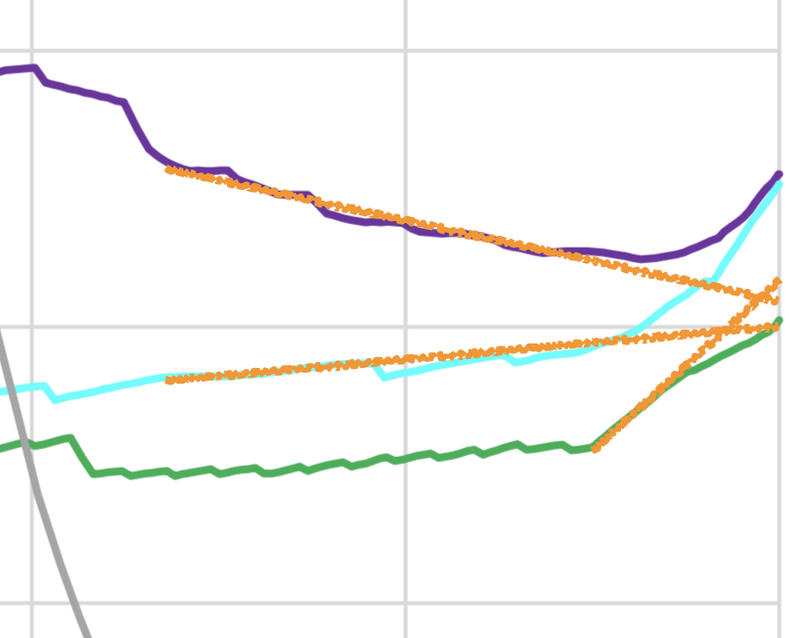 I ran a decent 50K tune-up race at Burning Man, comparable in time and effort to 2016. Moreover, as Spartathlon approached the forecast was for a cool year. This would certainly help my chances for sub-27, but probably hurt my placing: in a cool year I knew 27 would not be top-10, but I just did not dare to try for more given my fitness. 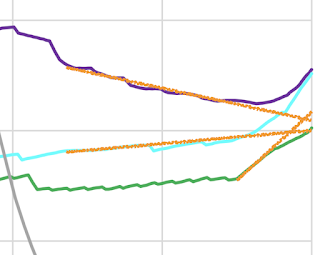 My gains, if any, would come from optimizations over last time, not from running at a dramatically faster pace. On the other side of things I also had twice as much experience with the pain and effort Spartathlon requires. Normally as runners we are good about forgetting, after the race, just how much it hurt, and our firm mid-race resolutions to never, ever, do that again. 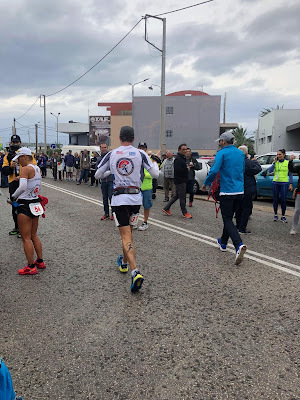 But I had made sure to get it all down on paper, and I knew that toeing the line with a challenging goal would mean a long journey through the pain cave. I think it takes a certain kind of perverse personality to do these things, knowing how much they will hurt, perhaps a kind of lack of emotional intelligence as we discount the cost involved. This helps us do incredible things, but can also be a liability. In that regard, Poe's "Imp of the Perverse" will figure prominently later in this report. Arrival As I've begun to branch out into multi-day races I've also begun to pay a lot more attention to sleep. I would not be napping at all at Spartathlon if I wanted to be anywhere near my goals, but sleep leading up to the race is very important. 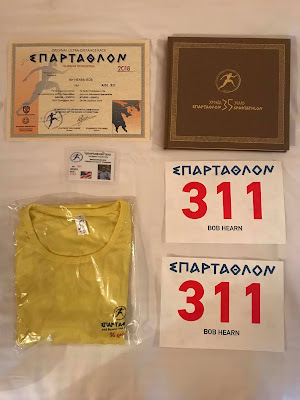 Last time at Spartathlon I was falling asleep on my feet towards the end; both years I was mildly hallucinating. Spartathlon starts on a Friday morning, and I normally arrive on Tuesday, a day before most do, to give myself an extra day to get over the 10-hour jet lag from California. This time I decided to get there several days earlier and maximize my effort to be fully rested and in-sync before the race. I thought maybe I would spend a few days on an island... but which? I'd been to Santorini and Crete. 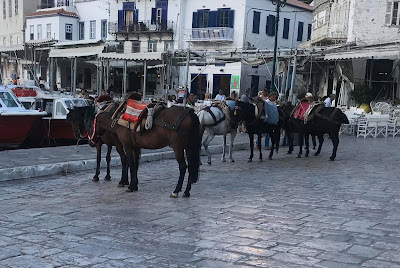 My Greek friend Loukia Lili-Williams suggested Hydra ('Υδρα) and/or Spetses, both a short ferry ride from the port of Piraeus. So I spent two days on Hydra and three on Spetses. Hydra in particular I liked quite a bit; it was like stepping a century back in time. There are no cars – transportation is by foot, donkey, or boat. Even bikes are not allowed! Both Hydra and Spetses were prosperous early 19th-century naval powers, and instrumental in the Greek war of independence beginning in 1821. There were many relics and museums of their storied histories. There was also plenty of wonderful Greek food available. Sticking to my low-carb diet for the week before the race was frustratingly hard, but I managed it. My great friend Scott Holdaway had volunteered to crew me this year. He'd been to Greece before, but not Spartathlon, though he'd crewed me at many other races. Spartathlon is a race you can do without crew, with aid stations every couple of miles and the ability to leave drop bags anywhere you want. And indeed I'd run without crew in 2016. But having a crew definitely gives you more flexibility, as well as moral support. So I was delighted Scott had offered. 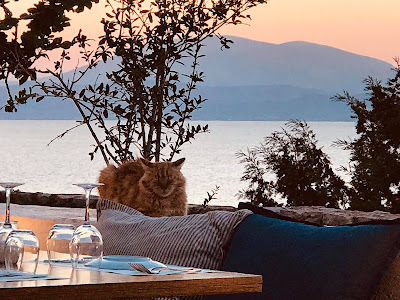 He arrived in time to join me on Spetses for a day, but the day was cut short: the weather turned and all the ferries were canceled due to high winds! 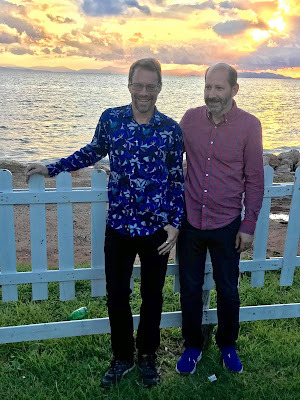 We had planned to take the Wednesday afternoon ferry back to Piraeus and join the rest of the US team in the Athens suburb of Glyfada that evening. Instead we had to scramble to get on a "water taxi" Wednesday morning for a short trip to the nearest mainland port, Kosta, which meant a long bus ride back to Athens. We got out just in time. Any later and we might have been stuck on Spetses for days. We arrived in Glyfada in time for me to check in and pick up all of my race stuff, avoiding the longer lines on Thursday. I saw a few other Americans, but I guess they were slowly trickling in. But the British team, also lodged in the same hotel as us this year, was out in full force. I have many friends on the British team, and I found myself spending most of my pre-race time with them, meeting new members. 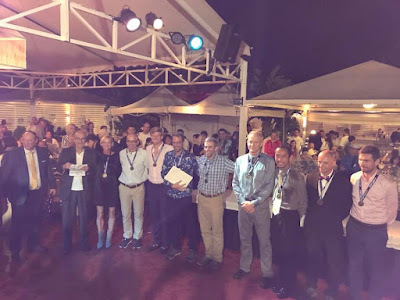 The first evening I realized with a shock that the guy across the table from me was John Volanthen, famous for being the first rescue diver to reach the Thai children trapped in a cave earlier this year. I did catch American John Fegyveresi, someone I'd been wanting to meet for quite a while, as he arrived that evening. 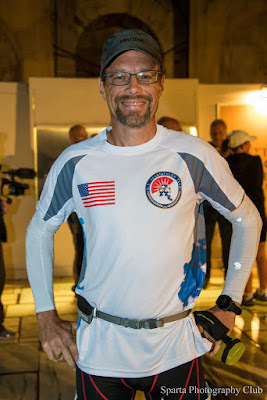 He features in the Barkley documentary movie, as one of the finishers. 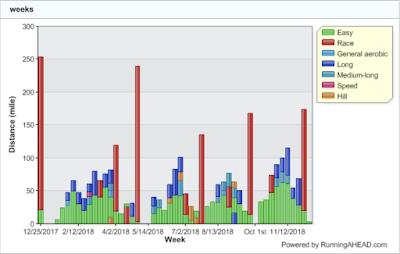 At the time he finished I compared our ultrasignup profiles, and was delighted to see that they were very similar – except that he'd finished Barkley! That is a very, very exclusive club (and one I am still too scared to try to join). 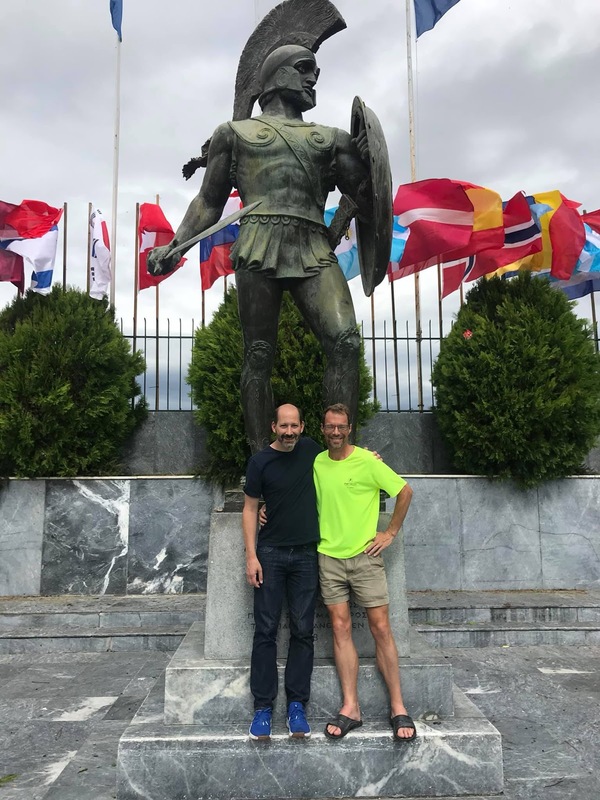 This would be his first Spartathlon, though he'd been trying to get in for a few years. The American team veterans were team organizer Andrei Nana (here to run his 6th(!) 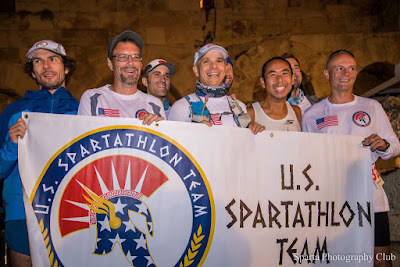 consecutive Spartathlon, all successful so far), Will Rivera (who had run last year, but for Puerto Rico), Dean Karnazes (whose 2014 Spartathlon was chronicled in the movie The Road to Sparta and the unrelated book of the same name), Jon Olsen (2013 24-hour world champion, who had run Spartathlon but not finished in 2014), George Myers (who had run in 2015 but not finished), and myself. New this year were Matt Collins (winner of the 2017 Vol State 500K), Olaf Wasternack (fast marathoner and talented 24-hour runner), Eric Spencer, Alex Anyse, Otto Lam, William Corley, Thomas Jackson, the aforementioned John Fegyveresi, and Elaine Stypula (the only US woman this year, after a couple of others withdrew). Olaf had a clever race plan: he also wanted to run 27 hours, and decided I knew what I was doing, so he would stick with me through 100 miles! Great; that would be fun. Unfortunately he was recovering from a few weeks with bronchitis, adding an extra challenge. Thursday was a scramble as I went out for a morning tune-up run in 30-mph winds, then made my final decisions and sorted stuff into drop bags. In the afternoon we had the team photo, which was the only time all weekend that I saw Dean Karnazes. He signed some autographs and was then off for a TV interview. It would have been nice to have seen him with the rest of the team at least at some of the post-race celebrations. At the pre-race briefing it was all about the impending "medicane", or Mediterranean tropical storm, dubbed Zorba. The forecast had continued to worsen and it now appeared we would face the brunt of it, running in a literal cyclone. There had been some concern that the course might be rerouted to avoid the mountain pass, or that the race might be canceled entirely. Fortunately for us, it appeared that liability issues in Greece are not the same as in the US; the show would go on. After that it was dinner at George's Steakhouse with the British team, as Scott and I coordinated crew details. I had not wanted to saddle Scott with driving and navigating solo in a foreign country for potentially over 30 hours, let alone in a tropical storm. So I'd looked for other crews to team up with, and the Brits had graciously stepped up – as they also had for me and Liz in 2015. Scott would start with Darren Strachan's crew, and as the race progressed might switch to riding with Nathan Flear's crew, Tori, or possibly with Olaf's crew, James. We talked race strategy as well as crew strategy, and I met more British runners, including Nathan, who'd run in 27 hours last year, and newcomer Alastair Higgins, who'd gotten in off a 7:55 100K. He seemed well prepared to run a solid race. Scott and I headed back to our hotel to turn in early, but then I somewhat unwisely spent another hour putting the finishing touches on my Badwater race report and posting it. I figured if I had not finished it before Spartathlon, I never would. Nonetheless I got a pretty solid 6 hours of uninterrupted sleep, per my Oura sleep-tracking ring, to cap a week of excellent sleep, with record-low resting-heart-rate numbers. I was ready. I love almost everything about Spartathlon – the buses are probably the biggest exception. They leave when the drivers feel like it, not when they are scheduled to. Yes I understand this is "Greek time", but that just doesn't work here. In 2015 I just barely made it to the start in time, with no time to hit the portapotty or warm up. Worse, often the destination is unclear, as they seemingly wander at random and wind up in the wrong place. So I was happy Scott and I could get a lift to the start from Darren's crew of David Bone and Jeff and Jane Strachan. The Race Once more I found myself at the most inspiring start in the world of ultrarunning, at the Acropolis, in the shadow of the Parthenon. Once more 400 brave souls would honor Pheidippides' famous run, so critical to to the future existence of western democracy. On a more mundane level, I did my dynamic warmups, made an unsuccessful portapotty visit, and hurried to find the US team for another group photo. We didn't get everyone, but still got some great pics. The weather was not bad at all, just a light misting, cool, not too much wind. 7:00 am and we were off! The first 2.4 miles passed quickly; I ran through checkpoint 1 without stopping. But I was a little slow! That was a first. Generally it's a challenge for me to run as slowly as planned for the first 50 miles. I'm a firm believer that it takes a slow start here to have a strong finish. As before I carried pace charts with target splits for all 75 checkpoints. Yes I know this is almost ridiculous overkill, but it works for me. Last time I'd prepared splits for 27:00, 28:00, and 29:35. This time, I was all in for 27. How do I pick my splits? This year, here's how. I had two years' worth of data to base my new splits on, with times recorded in and out of every checkpoint. I had run well both years, not running substantially too fast anywhere. So what I did was, for each checkpoint, take the minimum time I'd run that stretch previously, except I manually adjusted some: both years I'd run from CP 69 to the finish very fast, and I didn't want to have to do that to hit my goal, so I moderated that section. (If I had that kind of energy left there I wanted it to be gravy, or insurance – turns out I needed the insurance.) I hoped to run a bit more of the long uphill coming out of Alea-Tegea, so I trimmed that a little. I also assumed I'd spend the same average time in each checkpoint as in 2016, 47 seconds. All that added up to a 27:13 finish, not quite good enough. So given the expected cooler weather, somewhat against my better judgment I took a couple percent off the CP times during what would normally be the heat of the first day (CPs 6 - 33). This dialed the splits in to 27:00. Now, all I had to do was run them! I was running easy, with Olaf right behind me as per his plan. It would be great to have a running companion for 100 miles, a rare luxury here, as people vary so much in where their up and down spots are. Well, I was going to run my splits, and hopefully Olaf could run slowly enough to stay with me. It should be no problem for him to catch up if he needed a little more time anywhere. After 100 it would get interesting. For our little race-within-a-race, would Olaf reap the same benefit of a controlled start as I would, then leave me in the dust after the mountain with his superior speed? Or would it be my experience that would win the day? Well, that was a long ways off. Speaking of this race-within-a-race, I need to say a word here about ego. (Yes, I promise I will get back to the actual race, in just a minute!) Perhaps this goes without saying, but I think it's important. Ultrarunning in general, and Spartathlon in particular, are about much more than finish time or place. 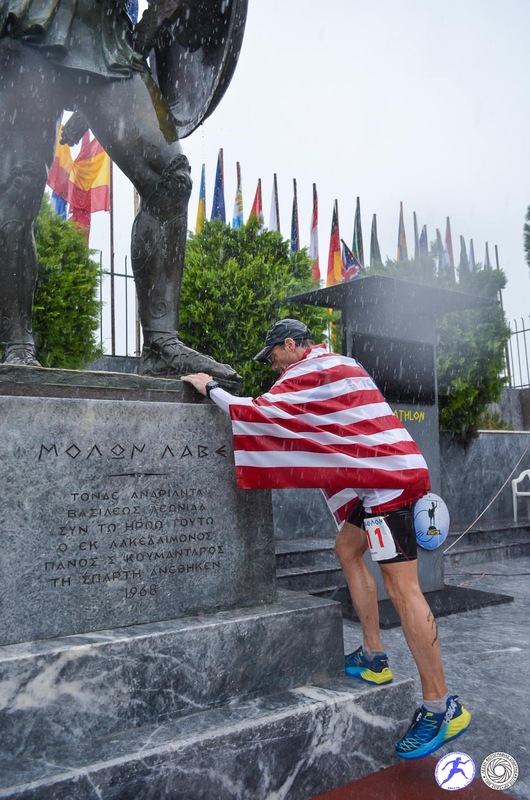 Spartathlon is a journey we all undertake together to honor and connect to our history. We are compatriots. But as I mentioned above, an effort of this magnitude requires motivation to match. As a tool, to be able to participate meaningfully, I need the ego involved. I know nobody but me really cares whether my finish time starts with 26 or 27 or 35, or who the first American finisher is. In the grand scheme of things it makes not one whit of difference. But I have to care, at least during the race; without a measuring stick, I'm aimless. 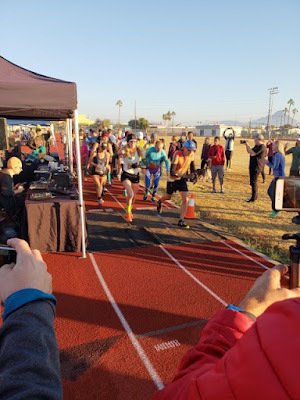 In a way I am envious of the runners that must fight to stay ahead of the cutoffs; they are battling the race, and victory for them is all the sweeter and more meaningful, more of a shared experience. But I must battle arbitrary time goals and the other runners, even as we work together. So – yikes, a little too slow to CP 1. I picked it up a little and was back on track. I got back to the more normal pattern of gaining time on my splits if I wasn't careful. Olaf and I chatted as we ran easily, well, as I ran easily. He mentioned a 42-mile race he'd recently won, averaging a 6:20 / mile pace – faster than my marathon pace. But he was having trouble keeping up with me as I did 8s on the downhills! I could only conclude it was an aftereffect of the bronchitis, which was a real shame. After two hours I lost him at a CP. Around this time we ran through the small coastal town of Elefsina, where normally all the children are let out of school and line the course offering high-fives to all the runners. Not this year. The weather was getting a little worse, wetter and a lot more gusty. This long stretch, from Elefsina to Corinth (at 50 miles), normally offers the best vistas on the course, out over the Saronic gulf and Salamina Island. But this year the visibility was not so great. My checkpoint routine was dramatically streamlined this year. Normally, I'd come into a checkpoint, sponge down, put ice in my hat and arm sleeves, refill my water bottle, and drink some Coke. This year, I was able to skip all of that except the Coke. I hadn't figured on this when I'd printed my pace charts back home, more than a week earlier. 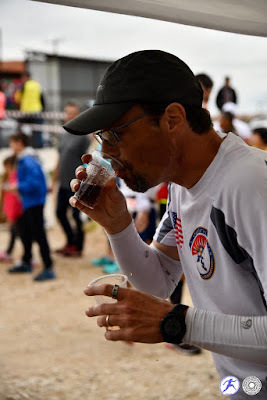 I did actually start with a bottle; I ran for the first three hours using my own drink mix for fuel, just so the Coke wouldn't be quite as tiresome by the end. But then I ditched the bottle. As before I would get almost all my calories from Coke during the bulk of the race, but in the past I'd still needed a water bottle to drink between checkpoints, and to squirt on my shirt, sleeves, and head to keep cool. The savings in CP time quickly added up, and by the time I hit the marathon point, in Megara, at 3:47 on the clock, I found myself 10 minutes ahead of plan. OK, that's acceptable, but no more! It's nice to have a 5-10 minute buffer for those occasional longer checkpoint stops. But more would be dangerous. I would have to start walking out of the CPs as I checked my pace chart for the next section. This was the first crew-accessible checkpoint, and Scott was waiting for me here, along with David, Jeff, and Jane, waiting for Darren; and James, waiting for Olaf. I asked him for some SportShield, left him with my bottle (the empty drop bag I had left for it earlier had not materialized at its CP), and was quickly on my way. Finally I got that successful portapotty stop on the way out that I had missed at the start. OK! Also as I was leaving I said hi to Rob Pinnington, frequent participant and British team organizer, this year here as a kind of supporter-at-large I guess. In my first Spartathlon he'd been kind enough to share his crew with my wife Liz, relieving her of driving and navigating, as the British team was doing for us once more this year! Nick Papageorge, a member of that crew, was also a welcome presence throughout this year's race. After Megara the course gets a little hillier for a while, and there are some definite walking stretches. Normally here the people who started too fast are already starting to slow down and pay for it as the day has become hot and humid. Today it was still cool, and in fact the rain had mostly let up, making the running quite pleasant. The winds were still gusty, but they were tailwinds more often than not. As I went through one CP a volunteer asked how I was doing. I answered "great! ", because, well, it was early, so far, so good. And it was great not to have the heat to deal with at all. But she said "Wow, you're the first person who's said that". Huh. Really? In my book, if you're in a 153-mile race and you're not doing great 30 miles in, you're going to have a problem. Somewhere in here George Myers caught up to me. "Dammit! I was supposed to stay behind you." He was back to avenge his 2015 DNF. George is a fast runner, but was trying to be disciplined and go for a sure finish this year rather than a fast time. Nonetheless he gradually pulled ahead. Atypically, I had passed Andrei early this year; normally he starts fast and I don't see him 'til around Corinth. Likewise Bruce Choi (American running for Korea). This year Bruce, Otto Lam, and I played leapfrog for quite a while I believe. Also in this stretch Alastair Higgins came by me, looking good. He would go on to run 26:10, as the first British finisher, an outstanding debut! Olaf caught back up with me in here as well, and we ran together a while longer, but then he dropped back again, this time for good. Approaching Corinth, there is a long uphill stretch, that for me is a walker. Many people run it. Already I am noticing that I am walking faster than I have here in the past, no doubt due to the time I put into improving my walking while preparing for my first 6-day race this past spring. So I easily keep to my planned splits here. Without them I might feel an impulse to push it more as people stream by me, but my history-backed splits keep me on a comfortable, smart pace without worry. I won't even think about what place I'm in until much, much later. 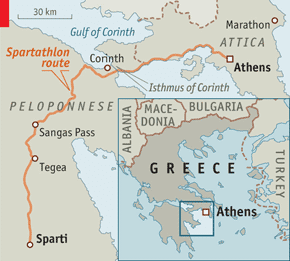 I expect to pass lots of people after Corinth, and especially after Alea-Tegea (mile 121). Finally we cross the magnificent Corinth Canal and shortly thereafter reach CP 22, the first major checkpoint, at mile 50. I'm now 8 minutes fast, at 7:40, feeling good. I think it was here I switched out my shortsleeve for a singlet, as the weather was now a little warmer and fairly dry. Thanks Scott! Oh and Scott had now been handed off to James, Olaf's crew, as it appeared we would stay closer together than Darren and me. I told them Olaf was probably not far behind. Corinth to the Mountain From here we enter the Peloponnese peninsula, and a new phase of the race. We leave the coast and head inland, through farms and olive groves. Here normally people are really hurting from the heat, and this is where having done your sauna training and started slow really starts to pay off. Different rules this year! Still I was now gradually passing people, easily sticking to my splits; so far I'd had no issues whatsoever. I was beginning to get a little confidence I would be able to hold pace, though it was still early. In 2016 I stayed on 27-hour splits until the mountain, mile 100, then fell off. But I had learned from that, and my splits this year were smarter. In absolute terms I was getting farther and farther ahead of my 2016 times; I would not have to speed up as much on the long flat stretch after the mountain. 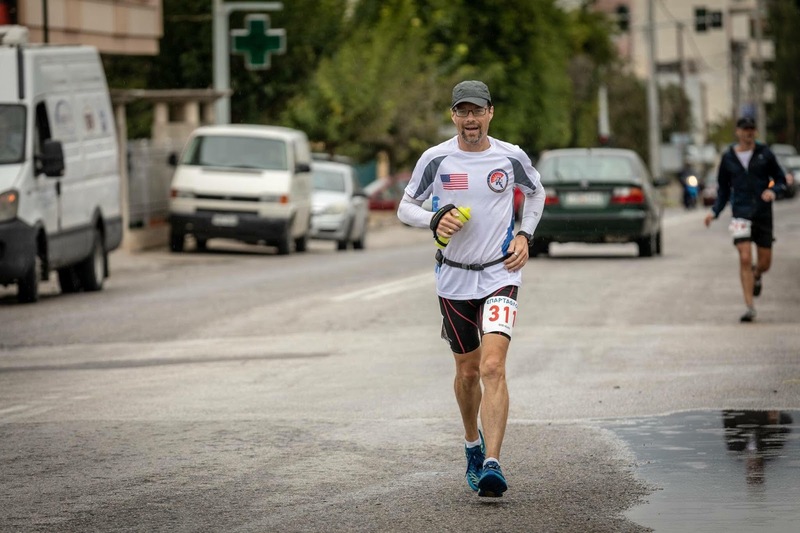 Coming into Ancient Corinth I caught up with Ian Thomas, talented British runner going for his fourth finish. Like me he had started in 2015, but he hadn't missed last year as I had. Scott and James were there waiting; I used some more SportShield and was quickly on my way. I then went through the 100K CP at 9:43 elapsed, 9 minutes ahead of plan, and 20 minutes ahead of 2016. Here we turn south and begin a long, gradual climb that will continue for more than 20 miles, punctuated by a few large ups and downs. In Zevgolation there are often children standing by the road looking for autographs from runners. By this point in the race the weather had cleared enough so that yes, there they were! I stopped to sign a few. Zevgolation is also another crew-access point. I don't remember what I did here, probably more SportShield (I never had any chafing issues this year, but you can't be too careful, especially with rain). But one thing I did notice is that though I thought I had managed fine last time with no crew, this time Scott was useful at every single crew checkpoint. The flexibility was a big thing, being able to swap gear whenever I wanted instead of where I had staged it in a drop bag. But the speed was also a boon. Scott had my bag of stuff ready; I didn't have to dig e.g. SportShield out of a drop bag. Also Scott could update me on how others were doing. Somewhere in here he told me four Americans were ahead of me. Jon I certainly expected, and probably Matt. Who else? Turns out Will Rivera was leading Jon?! Wow. I didn't find out who the fourth was. Probably George. I would eventually pass him, but I'm not sure where that happened. I was thinking it would be nice to run with Dean for a bit, but he was far behind. (Unfortunately he would eventually time out at CP 60.) During this climb there are plenty of places to walk, but often I found myself wanting to take full advantage of the massive tailwind and running a bit more, letting the wind do most of the work. Perfect storm, indeed. Everything was coming together this year. The farther I got, the more sure I was that I had NAILED my pacing plan. Each segment split was close to what I should be able to run with an appropriate effort. It wasn't based on guesswork; it was based on history. This year I staged my headlamp farther than I had previously, at CP 34, 74.7 miles in. I came through just after 12 hours on the clock, 7 pm, perfect timing. Normally I am more conservative and stage it earlier just in case. But I'd left Scott with a backup headlamp I could have picked up earlier if I were slow. Of course I could have forgone drop bags entirely and left everything with Scott, but it's never wise to assume your crew will make it to any given checkpoint, in this case especially because Scott and James also had Olaf to take care of. Just one more CP to Ancient Nemea, a major checkpoint and basically the halfway point of the race. Now the drizzle was picking up, making me think maybe it was time for my light rain jacket. My decision was easy as by the time I got there it had become a steady rain, and would now be cooling off. At Nemea I also took a HotShot; I'd had a small calf twinge a couple of CPs ago. Surprising, but hopefully nothing to worry about. Last time I think HotShot might have saved my race: I was having severe calf tightness around 100K, that disappeared immediately with a HotShot. The next few CPs were frustrating, as shortly after this we were slowly climbing a dirt road for a few miles. With the rain and the dark it was impossible to avoid trudging through large puddles and mud, especially when the occasional crew vehicle came through forcing me to one side. Finally we re-emerged onto pavement, and it was time for the long, steep descent into Malandreni and beyond, 1,000 feet over 4.7 miles. Here, by my pacing plan, I have to run fast, taking full advantage of the downhills. By now the rain and wind were intense, and it was often a headwind over this stretch. In Malandreni I was up to 15 minutes ahead of plan. But I didn't worry, because now that I was past Ancient Nemea, I trusted myself a little more to run by feel. For the rest of the race I'd be watching this number and comparing it to effort. Ideally I'd continue to feel good and be able to bring it in well under 27. 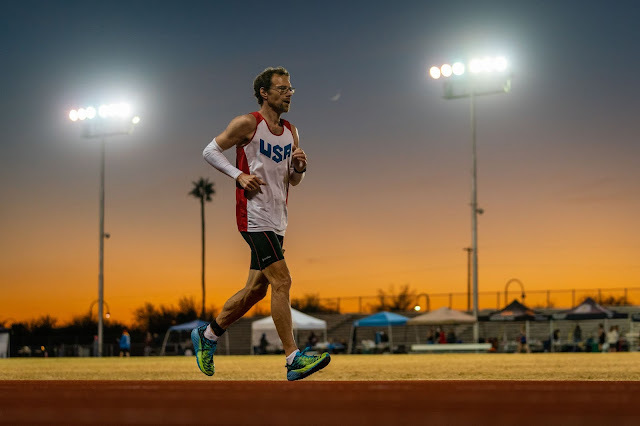 The next meaningful mark would be Aly Allen's time in 2015, 26:50, to become the third-fastest American Spartathlete ever, behind Scott Jurek and Katy Nagy. I lost 4 minutes right away, though, to by far my longest CP stop, as I at first couldn't find where the Cokes were (Malandreni is a large CP), then took some time to remove my rain jacket, add a fresh shortsleeve underneath on top of my singlet, and put the jacket on again. By this point I wasn't too coordinated with these non-running motions. Scott and James told me Olaf was now close behind, so I expected I might see him soon, but it wasn't to be. Scott said "I don't know how you guys are running through this crap." I had to just laugh. "Yeah, it's pretty yucky." Better than heat! At least for me. Not for crew and volunteers. Not for a lot of runners, either. Poor Andrei lives in Florida; he likes the heat and humidity. Given his five-year streak, I was sure he would finish, but it turned into a bigger challenge for him and others than I'd realized. I on the other hand had lived in Vancouver for several years; cool and wet equals fast and comfortable to me. The screaming descent continues out of Malandreni, with increasing thunder and lightning to the south. Here comes Zorba! We bottom out at 500 feet of elevation. Only 2,000 feet to climb to the mountain base! I hope the pass will be safe. I arrive in Lyrkia, 7 miles to the mountain, and Scott informs me that Olaf is now falling back, and they may not see me at the mountain base. They will need to wait here for Olaf first. I don't imagine it will be a problem, though, because it takes a long time to get up that big hill. Over the next few checkpoints the grade increases. Leaving Lyrkia it's still possible to run, but the farther you get the more people are walking. Eventually I switch to a power hike. 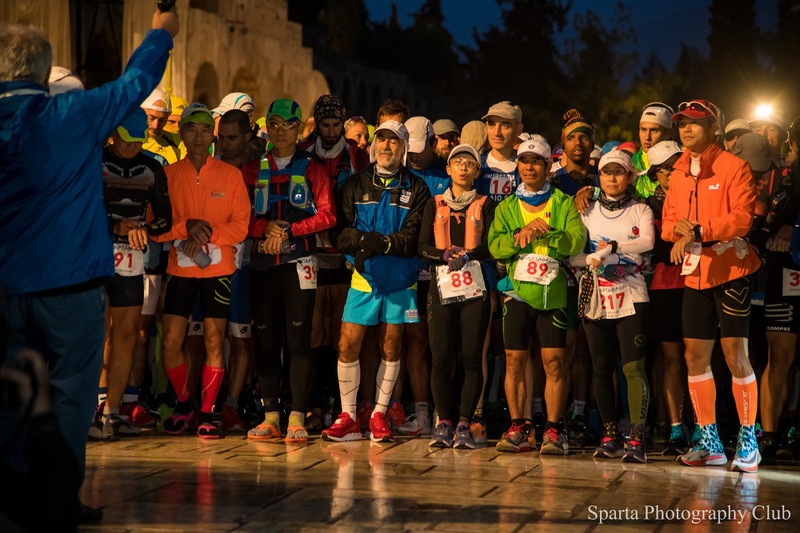 One thing I've heard about Spartathlon, which my experience bears out, is that the Japanese runners essentially never walk. They will run up the steepest hills, very slowly, and get their rest in checkpoints. This seems inefficient to me, but to each his own. One favorite this year (who would go on to win) is Japanese, 24-hour world champion Yoshihiko Ishikawa. Anyway, I pass a few runners as I walk. In the little village of Kapareli I make a wrong turn and start to head up a steep hill. Fortunately another runner calls me back to the course, and we start chatting. He is Slovenian, and his English is not great, but it's much better than my Slovenian. 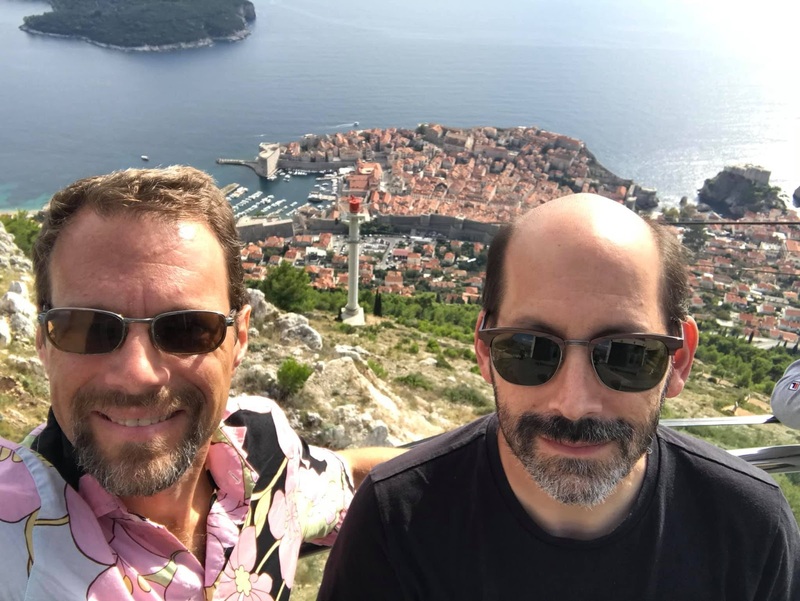 I tell him that Liz and I spent a week in Ljubljana after my first Spartathlon in 2015, and that I'd love to go back. 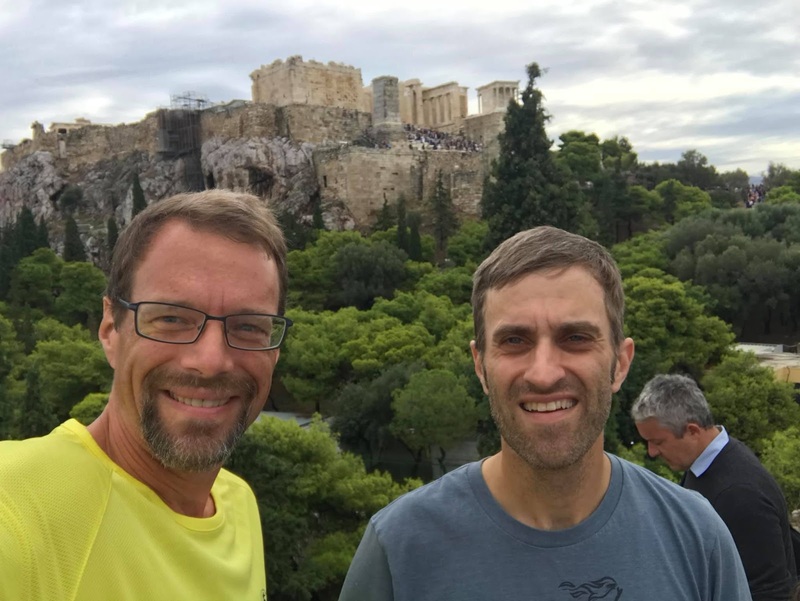 It turns out this is the third Spartathlon for both of us: I ran in 2015 and 2016; he in 2016 and 2017. My times were 29 something and 27 something; his, 28 something and 26 something. And we're both 53! How about that. But this year he says he is not feeling great, and sends me ahead. Later, looking at the results, I identify him as Mirko Bogomir Miklic. We will both wind up with all three Spartathlons sub-30 over age 50; that's a pretty small club I think. The final approach to the mountain base is ridiculously steep, and seems to go on and on. Finally I make it. Indeed, Scott and James are there. I've left a longsleeve, hat, and gloves in a drop bag. I put the hat and gloves in my jacket pockets, but leave the longsleeve with Scott; with two shirts and a jacket I am plenty warm. But I know it can get colder after the mountain, so I want Scott to have it handy just in case. Here we leave the road; the route to the top of the mountain pass is up a very steep, rocky, technical trail. At the pre-race briefing we were told that the trail had been improved this year and was much safer. I don't know of any severe injuries here in the past, but there are steep drop offs, and the footing can be treacherous. Indeed, it seems a little easier this year, though I am still wobbly in places. Fortunately the rain has almost completely let up now, and I don't have to cross the mountain in a thunderstorm. It's a 1,000-foot gain in only 1.4 miles, but somehow it never seems that bad. Again, I'm at the top before I even know it. Elapsed time is 17:28, 14 minutes ahead of plan, and 37 minutes ahead of 2016 – when I finished in 27:33. Looking good! Alas, for the third Spartathlon in a row, I did not encounter the god Pan crossing Mount Parthenio, unlike Pheidippides. Onward from the Mountain The mountain descent is always worse for me than the ascent, even though it is in principle runnable. 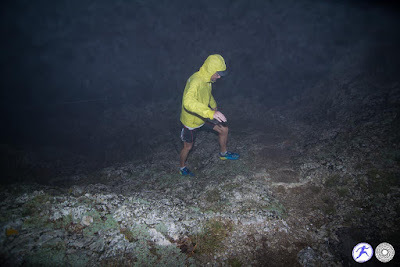 This year it was especially bad: it was very misty near the top, fogging my glasses and making vision blurry, and the rocks were wet and slippery. One mistake and it would not be pretty. I was forced to move slowly. After descending a few hundred feet the visibility was better, but the surface transitioned to scree that wants to slide out from under you. But I was one of the lucky ones, it appears. After the race I learned that those who came through a few hours later had to deal with dirt, rocks, and trees blowing and sliding down the mountain, as the storm had intensified. Finally I made it back to solid road, and the village of Sangas. The next 20 miles are the toughest part of the course for me mentally. They are long, flat, boring, dark, and isolated; by this point the race is very spread out. The checkpoints are mostly very small and sparsely manned, tiny oases in the ocean of night, and Leonidas waits far, far away. In 2015 I lost focus towards the end of this stretch and went off course for 15 minutes. In 2016 my focus was better, but I could not muster the energy to keep to my target splits, and I fell well behind. The monotony is broken up early by the major checkpoint in Nestani, mile 106.6. Like many villages on the course, it sits atop a sizable hill you must climb to get there. Scott was waiting with a safety pin to secure my flapping rear bib, but I was still in and out in 50 seconds, holding a 13-minute cushion on my splits. Scott warned me that they probably would not see me at the next crew checkpoint, 9 miles later; Olaf was falling farther behind. I told him I'd be fine, but my heart sank a little. I didn't tell him that this was the toughest part of the course for me and that I could really use a boost then. Around 19:30 elapsed I fished a NoDoz out of the baggie of pills in my belt, with fumbling fingers, and a Tylenol while I was at it. This was a simple improvement I'd made since 2016; up 'til then I'd gotten all my caffeine from Coke. A NoDoz hit was much more substantial, and would hopefully keep me more alert. Still I was gradually losing time; by CP 57 (mile 115.6) I was down to a 4-minute cushion. I wasn't worried yet. I thought I could probably hold that, and if not, I expected I could likely make up a few minutes on the big downhill from CP 69 to the finish. Disaster But then... oops. The road turned gradually more uphill, until I was walking. What?? I thought it was supposed to be flat here. Then I passed a field with lots of angrily barking dogs. They were behind a fence, right? ... wrong. I could see their eyes reflected, and one was coming much closer. I yelled at it and shone my light in its face. Finally I was safely past them, but the hill kept going and going, with no course markings. This was not right. There are no hills this big on this part of the course, I am sure. I must have missed a turn somehow. Angrily, I turned around and headed back downhill. Running the gauntlet past the dogs, again. Somehow I made it safely. And yes, sure enough, I'd run straight through a T intersection where I was supposed to turn right. There was an X on the route I'd taken, but I'd missed it. Later a group of several others on the American team would miss it as well, but fortunately realize their mistake sooner than I had. Examine these and similar actions as we will, we shall find them resulting solely from the spirit of the Perverse. We perpetrate them merely because we feel that we should not. Beyond or behind this, there is no intelligible principle: and we might, indeed, deem this perverseness a direct instigation of the arch-fiend, were it not occasionally known to operate in furtherance of good. The closer we push ourselves to our limits, the more the mind rebels, and seeks a way, any way, to avoid the impending metabolic catastrophe. The cleverer we are, the more ways the mind can succeed here, to our detriment. One way out is the perverse pleasure we can attain via the narrative of a dramatic, heroic failure. A simpler way is the self-reinforcing "it's not possible, so I might as well not kill myself trying". I fought against both of these for the remainder of the race, as I ran out of steam and began to lose ground again. With the sunrise should come a reenergized mind and body; this is what had happened here in the past. But I had already borrowed against that with the caffeine, and I had already spent a bit too much catching up. I found myself walking where I should be running. Another couple of checkpoints and I was 10 minutes behind again. Was I perversely engineering my own failure? 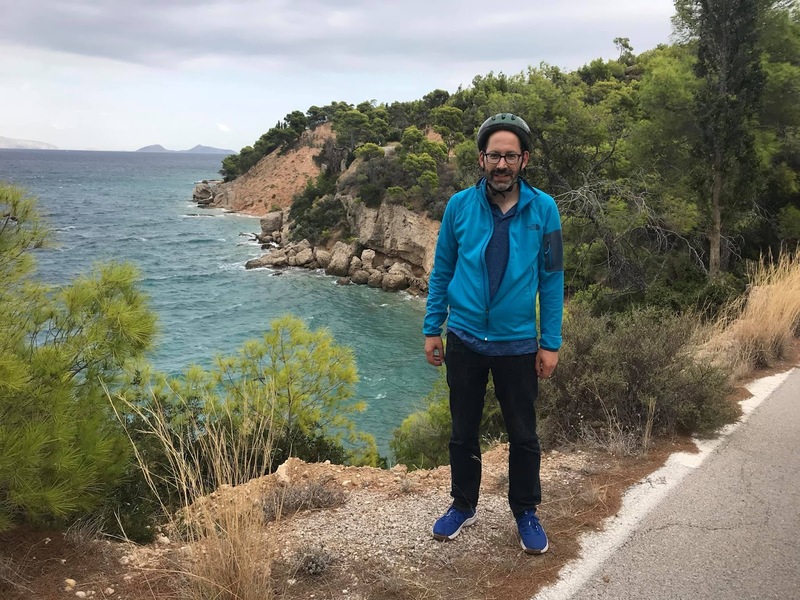 Now that I was close, I had no choice but to continue working hard – unless I adopted the view that it just wasn't possible, which a few more bouts of walking would make all too easy. Still, I was excited for the finish. I'm the guy who runs faster than everyone else here for the last 13 miles. I have to stay latched onto the positive narrative. I ran the big descent into the Monument CP, 68, solidly. Very fortunately, Scott was there (I didn't realize at the time it had taken some creative work to manage that), and I ditched everything I could in preparation for the final assault. I'd be way too hot running fast in the jacket. As I headed down the road I suddenly remembered I had also planned to leave the belt and take a final NoDoz, so I ran back yelling for Scott. Fortunately he heard me just in time. He also told me Jon Olsen was just 12 minutes ahead, and Will was still ahead of Jon. Wow. I did not ask about my place; I knew there was no chance now of top-10. It was all about 27. Or, maybe, all about 27:15, the fallback position from which I could say that I'd have done it if not for the wrong turn. Now I truly had a chance to recharge a bit, as it's a significant climb up to CP 69. It's possible to run it if you really want to, but I prefer to get to the top ready to fly. I walked it efficiently, passing a couple more runners. If you run from CP 69 to the finish in under two hours you are doing really well. This year the winner, Ishikawa, ran it in 1:58. I'd run it in 1:44 in 2015, and 1:33 in 2016. 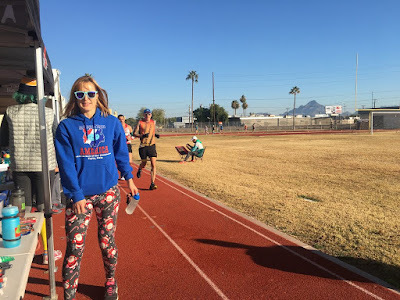 Both years the stars had aligned so that I was in the right mental and physical place to leave it all out there, and I had gained several places each time, passing other runners as if they were standing still. The Imp of the Perverse had not touched me. Would I be able to repeat that performance? At CP 69, my Garmin showed 25:23 elapsed. I'd have to do it in 1:37. And I knew that I was more spent than last time, plus I had Zorba to contend with. But my body knew what to do. As the descent began I engaged smoothly. After a while I looked down and saw 6:20 pace on my Garmin. As in past years, I stopped checking my split charts and just ran for all I was worth, blowing through the checkpoints without stopping. But looking back now, each checkpoint was a little slower than in 2016. I just didn't have as much left. It wasn't long before I saw Jon ahead – he'd had hydration issues. But he gave me a hearty fist bump as I ran by. I passed a few more people, and kept running hard. I saw a German jersey up ahead, ran by. I looked back and did a double-take. "Florian??" "Yes." I waved. 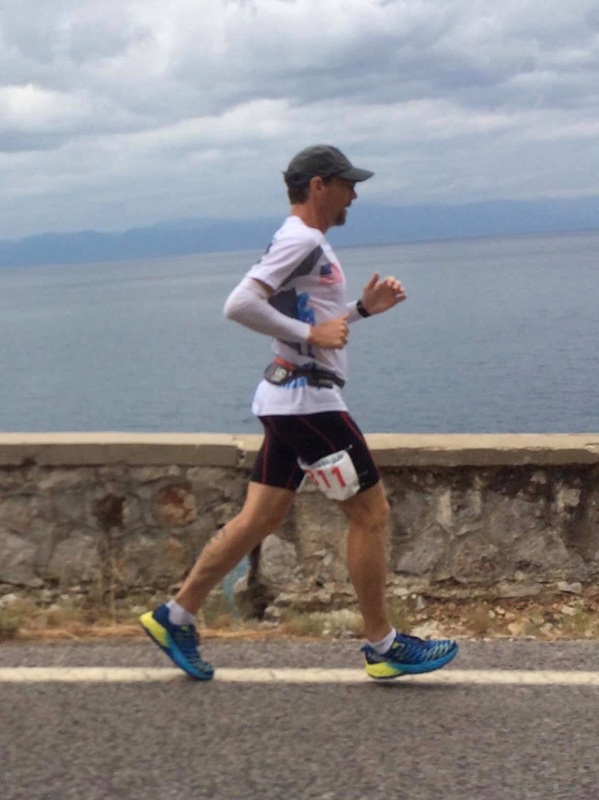 It's not every race that you pass two 24-hour world champions, and one Spartathlon winner, in your final push. But as I got closer, and it got harder, and Zorba made his presence more fully felt, the Imp tried hard to reassert itself. I somehow convinced myself that it was 2.9 miles from CP 73 to 74, and I could see that that meant sub-27 was now impossible. I was resigned to just getting a solid finish and PR; my effort waned. But it was really 1.9. All of a sudden I was in Sparta, there was the checkpoint, and I had 11 and a half minutes to run 1.5 miles. With a huge burst of adrenaline, I frantically grabbed my American flag from the drop bag I'd left there, and desperately sprang ahead. For a couple of miles now there had been a runner just ahead of me that I expected to pass, but every time I would start to do so my energy would falter. He was also running hard. Now there were two ahead of me; I recognized the second as Hungarian Zsuzsanna Maraz, the women's leader. Still I could not pass. Now that we are in Sparta we are done with the downhill, and there are some uphill sections. I'd resorted to walking stretches both previous years. This year I would not have that luxury. But Zorba was now in full force. 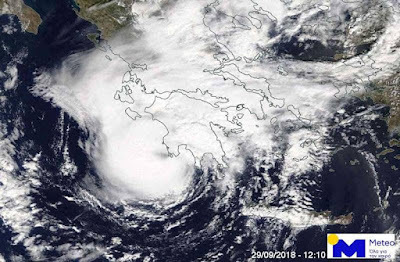 Whether you call it a cyclone or a medicane, it was the equivalent of a Category 1 hurricane. In the US, the race would definitely have been canceled by now, if not before it even started. 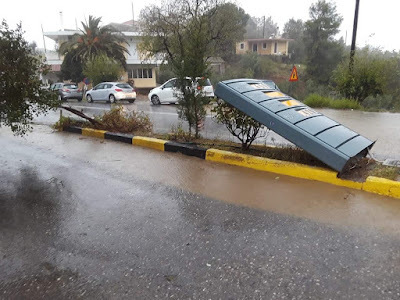 The streets of Sparta were flooded, and for large stretches we had to run through inches of standing water. I would laugh if I were not balanced on a knife's edge. Wind damage near Sparta. Pic by Claire Nana. As I see the penultimate turn ahead, about half a mile to go, I somehow find an extra gear, and surge forward, past both runners. But I am not thinking about places now, I am thinking about time; passing them is incidental. And then... it's gone; I have to walk and recover. The guy catches back up... it's Will! I'd had no idea. He says "what do you say we finish together?". I heartily agree. This is a fine Spartathlon tradition; we will be joint first Americans this year. But he has more left than I do, and I cannot hold him back. I need more walk breaks, and let him go. And here we are back to the Imp of the Perverse. Maybe. I don't know. And that's the really hard thing. 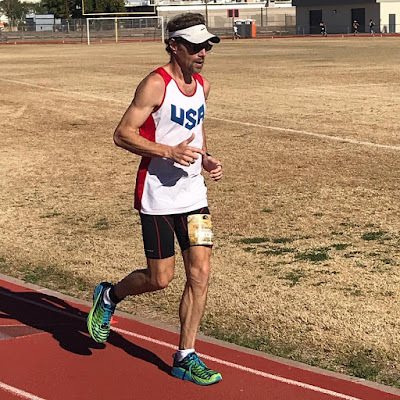 I have had excruciating misses in the past, none more so than when I came up 300 feet short of making the US National 24-hour team last year – a miss by less than a minute out of 24 hours, a truly minuscule fraction. Do I have some kind of deep psychological need to dramatically fail? I don't think so. I have never wanted anything more than I wanted to make that team. And yet, what are the odds that my absolute best would be almost exactly but not quite enough? And now, at the moment of truth in my favorite race, with just a quarter mile left to hang on, I chose to walk. I didn't run until I fell over, as I had in that 24-hour. With 20 miles to go when you walk you can say that it's careful management of remaining resources. When you're at the finish all of the future uncertainty has evaporated; it is Do or Do Not; there is no Try. And I Did Not. I am still immensely relieved and proud as I manage to run most of the remainder, flag draped over my shoulders, and kiss Leonidas' foot with 27:02:09 elapsed on my watch, 40 seconds behind Will. Aftermath The normal finish-line celebration in Sparta was missing this year: no kids escorting you to the finish on bikes, no Greek maidens offering you water from the river Evrotas. But I did receive my water (from the mayor of Sparta), my trophy, and most importantly, my olive wreath. Also some good photos, as Scott had managed to arrive just minutes before I did. I was escorted to the medical tent, where I breathed a huge sigh of relief and lay on a table warming up for an hour. Then we made our way to the bus to Githio, an hour south, where the Americans were housed this year. I'll skip the details on all the post-race activities this year, except for some photos. Alas, the dreaded buses kept me from making it to the "Spartan Mile", held the morning after the race at the track in Sparta, where you have to run barefoot, in your underwear (theoretically naked, as in the old Greek Olympics, but accommodations must be made), and the "mile" is really just one lap. Next time! 2018 US finishers. Missing Jon Olsen, George Myers. Numbers and Takeaway It turns out that my chip time was 27:01:08 – 12 seconds behind Will. 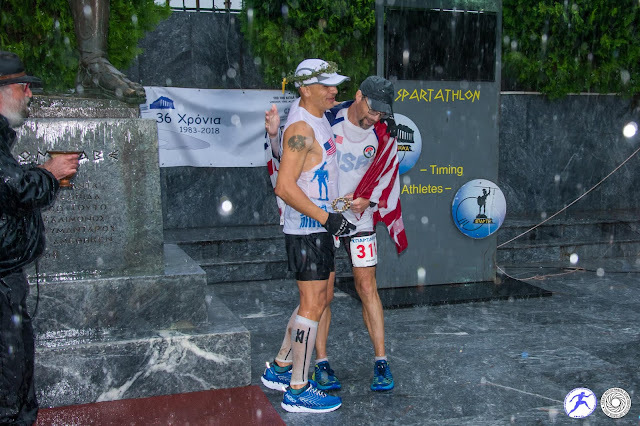 I topped Roy Pirrung's 27:08:45, the previous best American master's finish at Spartathlon, a mark that had stood since 1989. (Admittedly, in a year where the weather was, though unpleasant, a net benefit for the faster runners.) But then I discovered that Will is 48! I would not have guessed. So congratulations again to Will. I will content myself with improving on my over-50 American best, and moving into the #5 American spot all-time behind Jurek, Nagy, Allen, and Rivera. (I took over the #5 spot from Pam Smith, my friend and frequent rival. You should have come back this year, Pam!) Full Results As in 2016, I finished in 16th place, making up quite a few places in the big downhill. Given my fitness and the extra challenges posed by the conditions and my unplanned excursion, I have to be very happy with it: a half-hour PR on a course I've run very well in the past, at age 53. Also as in 2016, I was the first finisher over 50, and I ran the fastest split from CP 69 to the finish (1:39:12). 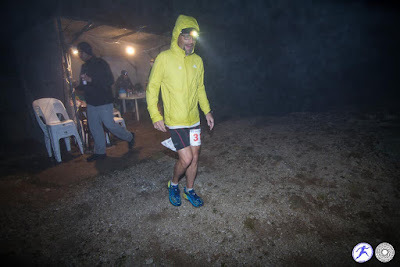 Aykut Celikbas has looked further and checked the splits from CP 60 (121.4 miles) to the finish, discovering that there Ishikawa was first (5:11:53), I was second (5:20:07), Patrick Hosl was third (5:22:08), and Aykut was fourth (5:25:07). Aykut was not far behind me from 69 to the finish either, running it in 1:46:31. 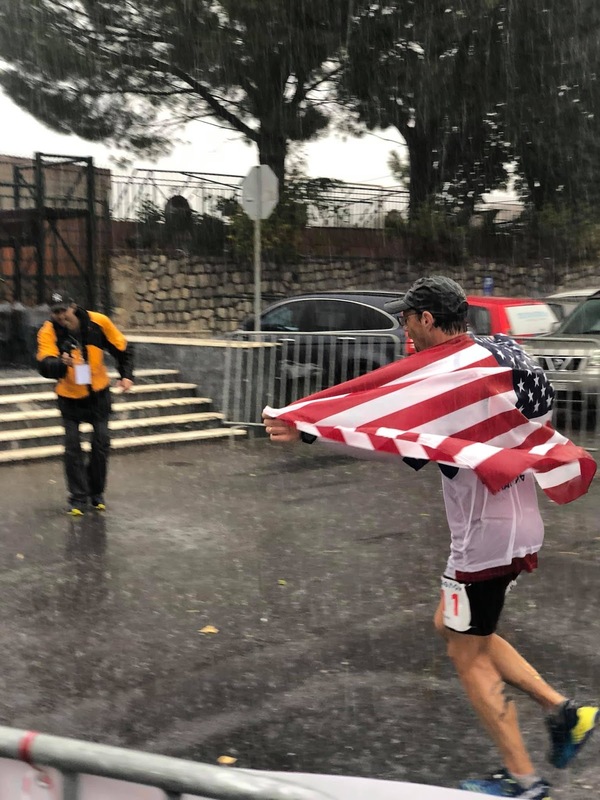 In his fourth Spartathlon, he ran an incredible three-and-a-half-hour PR. Congratulations! The time I saved in checkpoints due to the cool conditions was a huge factor. In 2015 I spent an average of 1:06 per checkpoint; not bad. In 2016 I improved that to 47 seconds. This year it was 24 seconds. That's a total savings of 28 minutes in checkpoints alone, essentially accounting for all of my PR – except for the extra 15 minutes I had to run. The big picture is that my planning and execution were nearly perfect (apart from the one big screwup); for the first time, I got through with no real muscular, focus, nutritional, blister, or other issues; and most importantly, when the going got tough I hung on and didn't yield. At the very end the picture is fuzzier, because minds are very complex things. There is I think no way to know whether I psyched myself out or whether I truly gave it my all. 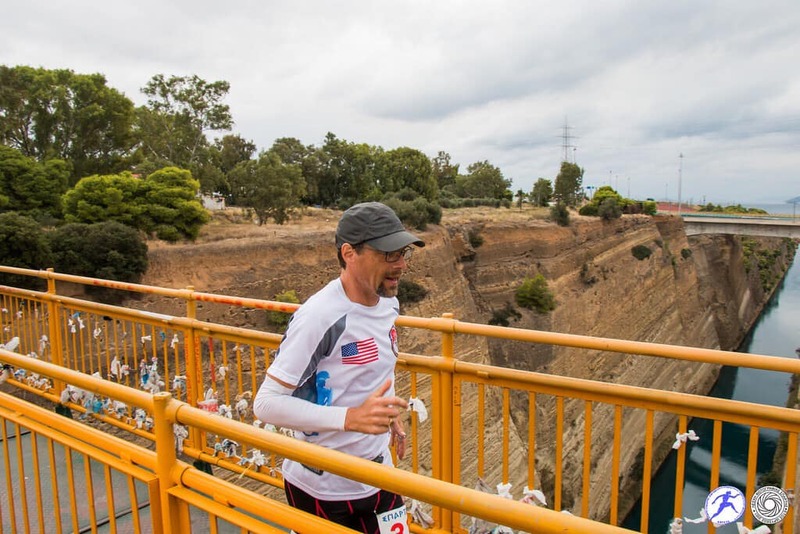 Running a race like Spartathlon is always a process of self-discovery, which is one of the main reasons I do it. I learned a little more, but ultimately the puzzle of running remains a nut I will never fully crack. Fortunately! For then, what would be the point? Thank you I owe huge thanks, once again, to Scott Holdaway. He was always in the right place at the right time, making everything go smoothly. His job was in many ways harder than mine: I never had to stand around in the miserable downpour waiting, waiting, waiting, for maybe 30 seconds of contact before it was time to plan a trip to the next place. Thank you to everyone who helped Scott crew: initially David Bone and Jeff and Jane Strachan, then James Suh for the bulk of the race, also Tori Robinson who had offered to take Scott on later if the spacing worked out (but as expected, Nathan Flear was too far ahead of me). Thanks to David, Jeff, and Jane for the lift to the start, and to Tori and Nathan for the ride back from Sparta to Athens (once more bypassing the buses). Thank you to Andrei Nana for all the work organizing the US team, once again, and for producing our great team shirts. Under his leadership, over the past few years we have grown to a formidable force, up from years with only a few, or even no, American entrants. This year we had 15 starters and 11 finishers, our best showing ever. Thank you to Liz for tolerating all the training and the time away, and for proofreading this report. Thank you to the Sparta Photography Club for all the wonderful photos, taken under challenging circumstances. Thank you to everyone at the ISA, Kostis Papadimitriou, Nikolaos Petalas, Panagiotis Bonelis, and everyone else, for putting on the greatest footrace on Earth in extremely challenging conditions. Thank you to all the volunteers who had to endure Zorba's wrath, in exchange for brief visits with battered runners often not in the greatest of moods. And thank you for reading!